SALES that fall in love!!! Who does not think after December, Christmas, gifts, celebrations …in SALES??? 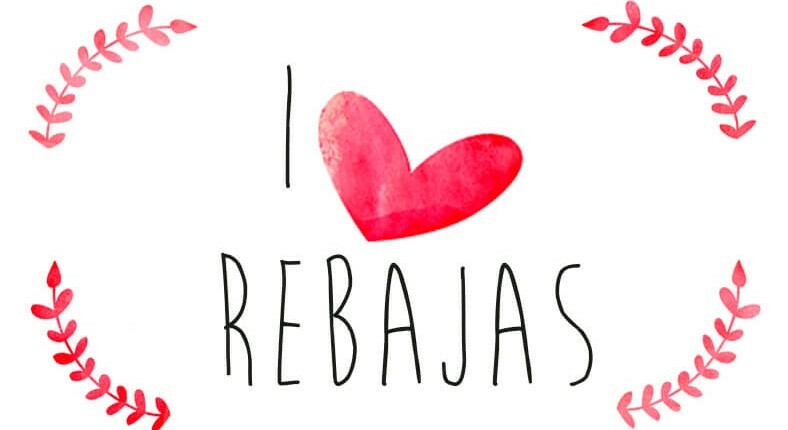 It makes everything a little easier for us and we could find all necessary things at a better price !! Would you like to start the new year paying less???? 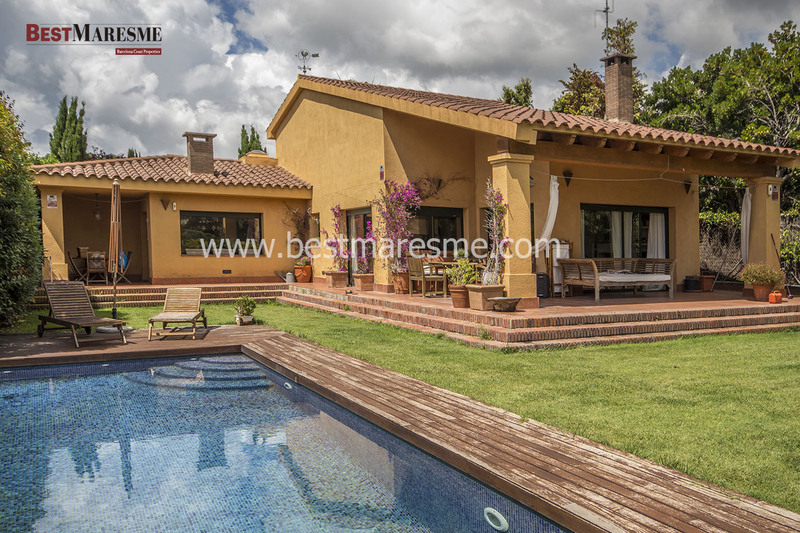 BestMaresme would show you some houses and apartments in Maresme that along January reduce their price. If you want to buy or invest, they are a very good option! And why not??? Valentine’s Day is near by…. we fall in love ???? Fantastic house for sale in a residential area near the center of the town of Argentona. This house has 280 m2 built in 1998, on a plot of 700 m2 in a very quiet place 30 km from Barcelona. On a plot of 900 m2 was built in 1990 a Mediterranean house style for sale in Cabrils, which was completely renovated by its current owners in 2001, spread over three floors. Highlighting its excellent location , very close to the town center and great orientation. House for sale in Cabrils, built on a flat plot of 1000 m2, with a mountain setting and peacefulness. It is distributed on two floors, in the main floor we find the living room spread over two levels and with an open ceiling to the first floor creating spaciousness. The kitchen has a direct entrance from the garden and a bedroom on this same floor with a bathroom. It is very sunny and has an outside exit to a summer porch overlooking the sea. 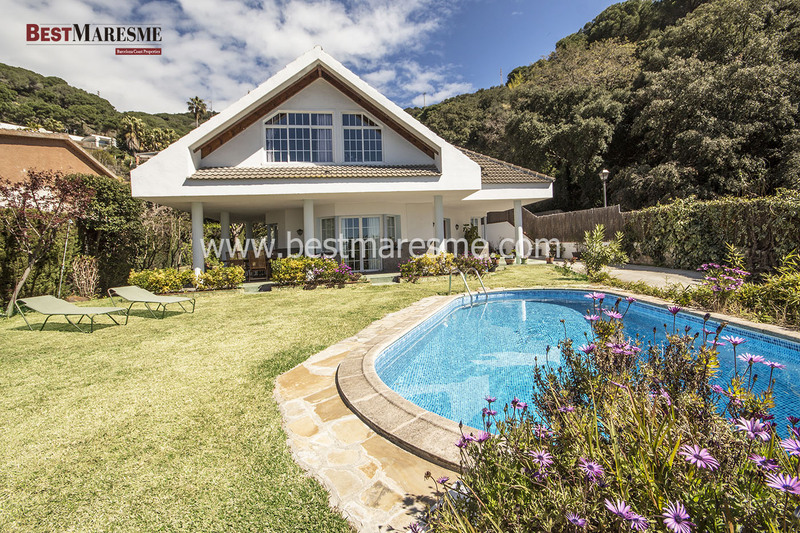 This Mediterranean style house for sale built on a high plot of 1,100 m2, was thought to provide the utmost privacy and to enjoy incomparable ocean views. Living surface built 236 m², distributed over three comfortable floors. This house for sale in Cabrera de Mar has 280 m2 living surface built, on 2480 m2 plot, having a beautiful pool. The property is situated only 150 meters from the coast line natural park, a very quiet place only 30 km from Barcelona, where you can have pleasant walks in a healthy and unbeatable environment enjoying beautiful views of the Mediterranean Sea. The town of Cabrera de Mar is only 5 minutes away from the beautiful beaches of Barcelona’s coastline. 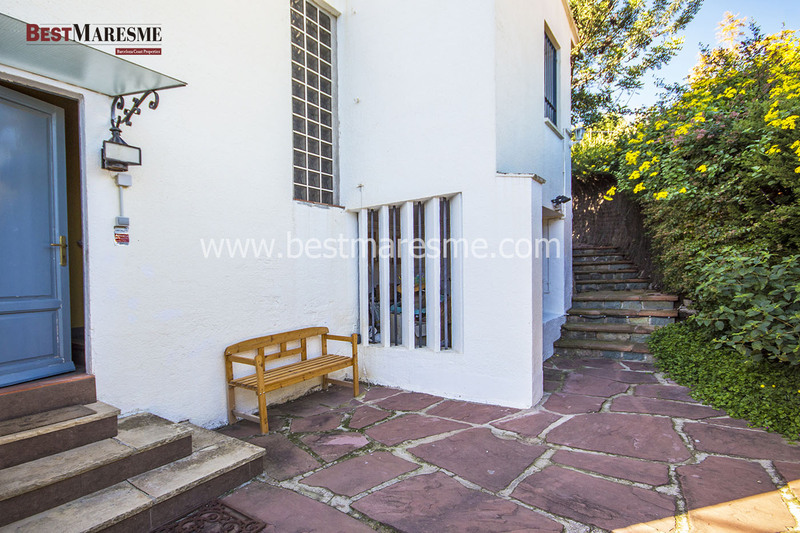 Detached Charming house for sale, located in the town of Premià de Dalt, on the Costa de Barcelona. It has a private garden having the possibility to build a swimming pool. It is located in a very quiet area, just 5 minutes from the center and near all types of amenities that give a more comfortable life. Surrounded by nature, vegetation and autonomous trees making you feel sheltered. A luxury having a quiet life and only 20 minutes from Barcelona. This house for sale is located in Tiana center on the Costa de Barcelona, ​​surrounded by vineyards and pine forests, best privacy, on the large completely flat plot of 1.300 m2. Fully landscaped and surrounded by lush lawn with fruit trees (cherry, lemon, avocado ..), The tile pool occupies an important role and important space. 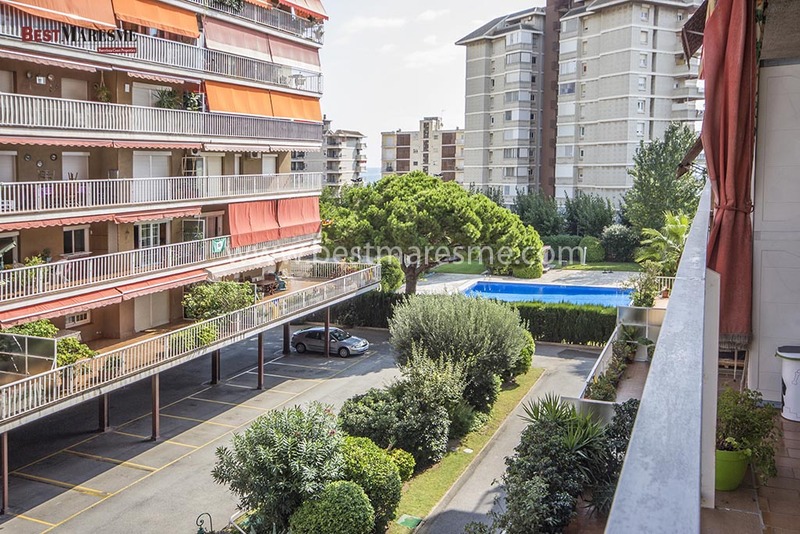 This flat for sale in Vilassar de Mar, is located in an excellent area, near supermarkets, kindergarten, schools and institute, near Health Care (CAP) and pediatric center, 10 minutes from the train station and in front of the bus stop, two minutes from the beach and is located in front of the underground access. Next Next post: Exceptional design, Cabrils!